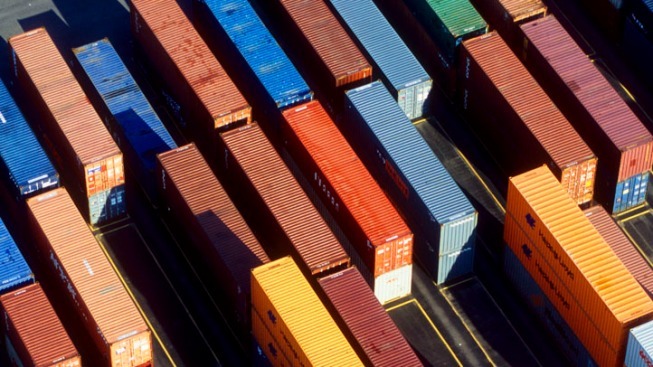 International cargo containers are lined up by the hundreds in a Virginia port. CNBC Senior Correspondent Scott Cohn says Virginia has a strong legal and regulatory climate that makes it America’s top state for doing business. Virginia is America’s top state for doing business, according to a new study by CNBC. The Old Dominion State dislodged Texas this year with the best overall score in 10 broad categories of competitiveness, among them Business Friendliness, Quality of Life, Education and Economy, CNBC Senior Correspondent Scott Cohn reported. The categories are weighted based on how heavily states market them to drum up business. “Virginia’s economy is diverse and robust, with unemployment well below the national average,” Cohn said. He added that the state’s point total -- 1,600 out of 2,500 -- was the highest in the five-year history of CNBC’s studies. Texas, which has traded no. 1 spots with Virginia each year, scored 1,578 points and stayed the same in seven out of 10 categories, CNBC reported. The Lone Star state dominates in Infrastructure & Transportation, Technology & Innovation and Access to Capital. But Texas lost ground in its point totals for Cost of Doing Business, Quality of Life and Economy, where a budget crisis led to the state slipping from No. 1 to No. 14 on CNBC’s list, the network reported. State fiscal issues, factored into CNBC's mix for the first time, also were responsible for New Jersey experiencing the biggest overall decline among states. The Garden State slipped eight spots in the rankings to No. 30, CNBC reported. Rounding out the top five best states for business were: North Carolina, Georgia and Colorado. Rhode Island fared the worst in the nation, below Alaska, Hawaii, Mississippi and West Virginia. For CNBC's full results click here.